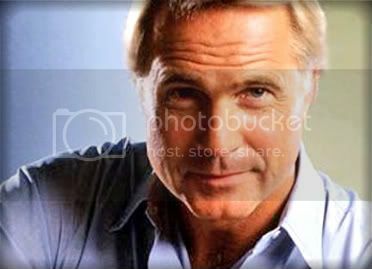 Gil Gerard is perhaps best known for his role as Captain William "Buck" Rogers in the television series, "Buck Rogers in the 25th Century," a role he played for two years. Originally from Little Rock, Arkansas, Gil migrated to New York after working as an industrial chemist for a large chemical company headed by Governor Winthrop Rockefeller. He was told he would be made the firm's vice president, should he decide to get his master's degree. He quit, rather than tell everyone that he did not, in fact, have a college degree. Once in New York, he studied drama by day and drove a cab by night, where, after picking up a fare who had a lively interest in the problems or unknown and unemployed actors, told Gerard to report to the set of "Love Story," which was filming in the city. He was hired as an extra, and then singled out for a bit role that ended up on the cutting room floor. But he now had his first professional credit. The next few years found Gil acting in over 400 television commercials, which included being a spokesman for Ford Motor Company, then came a leading role in the daytime series, "The Doctors," followed by roles in movies including, "Hooch," "Airport 77," and others, and many television roles, including his "Buck Rogers in the 25th Century." Gil will be starring in "Blood Fare," a theatrical release now in production, plus two made-for-television movies: "Buck Rogers Begins," with Erin Gray reprising her role as Frances Rogers, and a Hallmark Hall of Fame production, "The Lost Valentine," slated for February 14th, in which he plays Betty White's son.